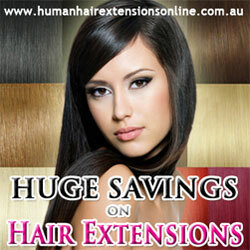 Beauty get multiplied, if you have healthy, beautiful and long hairs. Growing long hair is not a difficult task, any girl can do it with a little care and applying good tips. Long hair is a dream of many women and girls. Everyone’s hair grows at a different rate, you may be blessed with genes that enable your hair to grow at a fast rate, or you may be one of the unlucky people for whom their hair hardly grows at all. However, there are certain things you can do to make your hair grow faster naturally. It takes a huge commitment to grow your mane amazing lengths. But it can be done! Below, are the top 10 tips to achieving length in the least amount of time. Fenugreek seeds also promote hair growth. They check hair fall, repair damaged hair and fight dandruff successfully. Soak a handful of seeds in water for 1 hour and then grind in to a fine paste. Rub this paste in to the scalp, avoiding the hair strands. Leave for 20 minutes and then wash off. It is a wonderful hair and scalp tonic. Lettuce juice has been recommended by experts as an amazing home remedy for hair growth. Lettuce supplies all the important nutrients that promote hair growth and stimulate the hair follicles. Vitamin A is very important for hair growth. It lengthens and strengthens the hair remarkably. Incorporate carrots, spinach, melons, papayas, mangoes and tomatoes in your daily menu. So, we answered how to make your hair grow faster. If you’re serious about growing long hair fast, I hope these tips will be a reference guide for how you can do it. Good luck!